In addition to reducing the potential for fraudulent use of industry license plates, this requirement provides Texas licensees a way to responsibly recycle over 4,000 industry plates every year. For more information click the button below or contact us toll-free at 1-888-DMV-GOTX (1-888-368-4689) or at (512) 465-3000 from 8:00 a.m. to 5:00 p.m. Central Time, Monday through Friday. Dealers: Please continue to return metal plates from customers’ motor vehicles to your local TAC office. 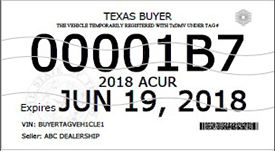 TxDMV issues and renews the various types of licenses necessary for different facets of the sale and distribution of motor vehicles in Texas. The rules for licenses, vehicle advertising, hearings, and the Lemon Law are set by the TxDMV Board and are located in the Statutes and Rules section. Substantially adds, subtracts from or modifies a previously assembled or manufactured motor vehicle other than a motor home, ambulance or fire-fighting vehicle. Drive-a-way operators may apply for, receive, and attach metal in-transit license plates to the vehicles they transport. 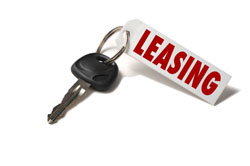 The lease facilitator license may operate as a leasing agent or leasing company. The lessor license is required, under the terms of a lease agreement, to give another person the right to possess and use a motor vehicle. Franchised dealers do not have to apply for a separate lessor license to be able to lease the vehicles they are licensed to sell. 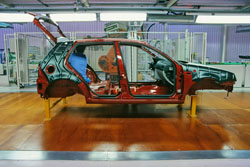 Manufactures or assembles new motor vehicles. Contacts dealers in this state on behalf of a manufacturer, distributor, or converter. 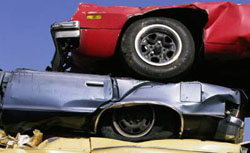 Repairs or rebuilds more than five salvage motor vehicles in the same calendar year. TxDMV Motor Vehicle Division and Enforcement Division are pleased to offer services to our existing dealers/licensees and those in the application process. We are here to serve you. Motor vehicle events (shows and exhibitions) are a component of the motor vehicle and trailer distribution industry where marketing of motor vehicle and trailer products take place. Whether the event is a single participant event or a multiple participant event, licensees must obtain permission from the Motor Vehicle Division (MVD) to participate before the date the show or exhibition opens. No fee is required. Texas Administrative Code, Title 43, Chapter 215. In general, it is illegal for motor vehicle and trailer sales to take place at any location other than a licensed location. 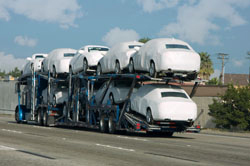 However, the law allows for the sales of specific types of motor vehicles and trailers in approved types of events. 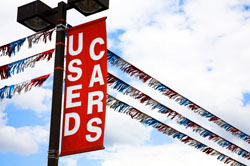 The Participation Information has specific details on approved sales at motor vehicle events. The Self-Authorization form may be used when participating in an event where motor vehicle sales are prohibited by all participants. The Licensee Participation form should be used when multiple types of vehicles and trailers are included in the event, or when the applicant does not know the other types of vehicles or licensees included in the event. For more information contact us at (512) 465-4029. The eTAG system is designed to make processing dealer tags fast and easy for dealerships throughout the state while making temporary tag information available in almost real-time to law enforcement. 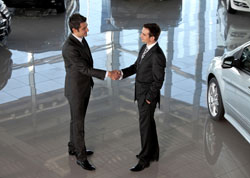 The webDEALER system allows dealers to process title applications and new registrations online. 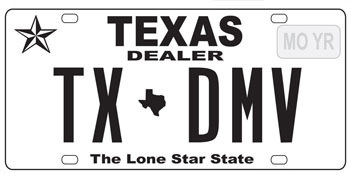 TxDMV Regional Service Centers assist county tax offices with setting up dealer access to the system. 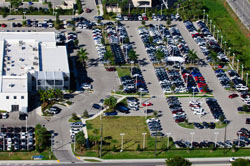 Phase 1 of webDEALER included statewide rollout to dealers of new vehicles. Phase 2 has included rollout to dealers of used vehicles, beginning with a pilot group and extending statewide to all dealers March 1, 2015. Future phases of webDEALER will expand use to salvage dealers and private party sales. If you would like to sign up for webDEALER, contact your local county tax office. For a list of counties currently participating in webDEALER, select the link provided below. Licensees may apply for metal plates online in eLICENSING. From the home page select Plates and Stickers and follow the prompts.